It has been a passion of ours to start a gourmet health food company. The EATWISE menu has been designed by very health conscious individuals who have always lived energetic and healthy lifestyles. 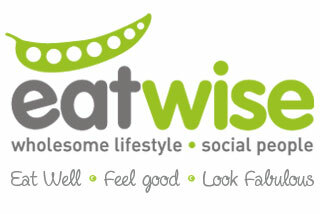 EATWISE offers delicious and convenient meals for people on the go. It is an ideal choice which will enable you to establish and maintain a healthier lifestyle. We love interacting with people. EATWISE living healthy and being social is our lifestyle. Fancy some Feta & Sundried Tomato Line Fish, or Rosemary Fillet of Beef or perhaps Baked Artichokes with Feta, we have a variety of mouthwatering meals guaranteed to suit every taste! Want to loose or gain weight? Allergies? Diabetic? Contact us to create a tailor-made eating plan to suit your life, and your taste!